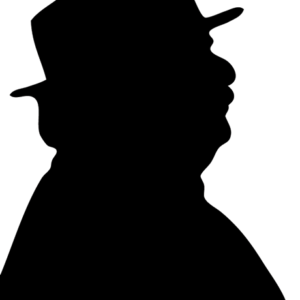 As we celebrate this year’s Dining and Entertainment Special Edition, we want to pay homage to our colleague and Pulitzer Prize-winning food writer Jonathan Gold who passed away on July 21, 2018. Gold gained prestige writing for the LA Weekly. He eventually moved to the Los Angeles Times where he brought the “people’s food” to his readers. Whether it was a little Vietnamese pho house in Hollywood or lengua tacos at a strip mall in La Puente, it was always about the food. He was equally at home at the Beverly Hills Hotel or any of Joachim’s or Wolfgang’s places as well. He will be missed and often remembered. This year, we are featuring the vibrant Los Angeles distilling renaissance, the rebirth of the iconic Formosa Café in Hollywood, and the burgeoning interest and ultimate golden harvest of heirloom fruits and vegetables. We have covered the original restaurant garden planted almost 30 years ago by Gregg and Bob Smith of Smith Brothers Restaurants. Also featured are several Beverly Hills hotels and noteworthy dining establishments, as well as the much anticipated Academy of Motion Pictures Art and Sciences Museum with its gold-tiled tower. We took a look back at Sunset Strip’s billboards during the golden age of rock in the 1970s, and a drive up the 101 to the Golden State’s city of Ventura as a day trip or overnight stay. These are just a few of the Dining and Entertainment entrées inside, so as they say in Hollywood, “Let’s get the show on the road!” Bon Appétit!